Hurricanes cause billions of dollars in losses to business every single year. The unprecedented series of devastating storms that struck the US in 2017 was a stark reminder of how important it is for commercial organizations to plan ahead and prepare for the worst. With June 01 signaling the official start of the 2018 Atlantic hurricane season, businesses across the country are scrambling to ensure they’re storm ready. 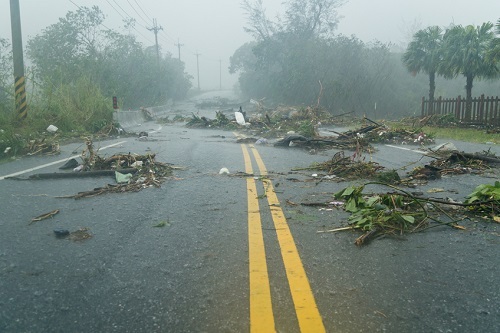 The first and most important thing for businesses to do is develop and implement hurricane response and business continuity plans, according to QBE North America’s Global Risk Solutions leader, Paul Isaac. “Commercial entities really need to take the time to develop and invest in catastrophe response and business continuity plans. There are lots of resources out there, including a very good FEMA toolkit called the Ready Business Hurricane Toolkit, that guide business owners through their potential vulnerabilities and how to mitigate and respond to their risks,” Isaac told Insurance Business. There are a few simple things companies can do alongside their plan or while they’re developing a plan in order to mitigate severe weather-related risk, according to Isaac. Businesses can address the hazard of water by taking a step back and assessing the vulnerability of their property during heavy, but not dangerous, rain events. They can watch where water runs, check gutters, windows and roofs, and look out for any pooling or flooding. If any vulnerabilities are discovered, they can repair and reinforce those areas before a more damaging event occurs. Likewise, businesses can assess the building and surrounding lot for any loose material or instable assets that could potentially become projectiles during hurricane-force winds. Anything physical on the property that could become damaging airborne debris needs to be mechanically reinforced or possibly removed. “When people think about wind-driven rain, lots of companies immediately focus on the roof,” Isaac commented. “While the roof of a building is very important, they need to think about vulnerabilities in the entire building envelope, including the walls and windows. They should inspect the caulking around all the building openings pre-hurricane season and then fill any cracks to help prevent wind-driven rain getting into the building envelope.